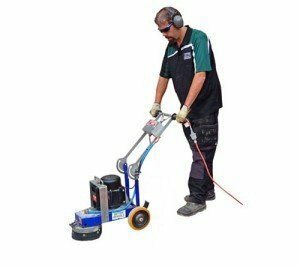 Which Concrete Grinder Hire should I use? – Remove cover to grind right up to a wall. – Use with a vacuum for dust removal. Hand held 180mm diamond grinder and vacuum. 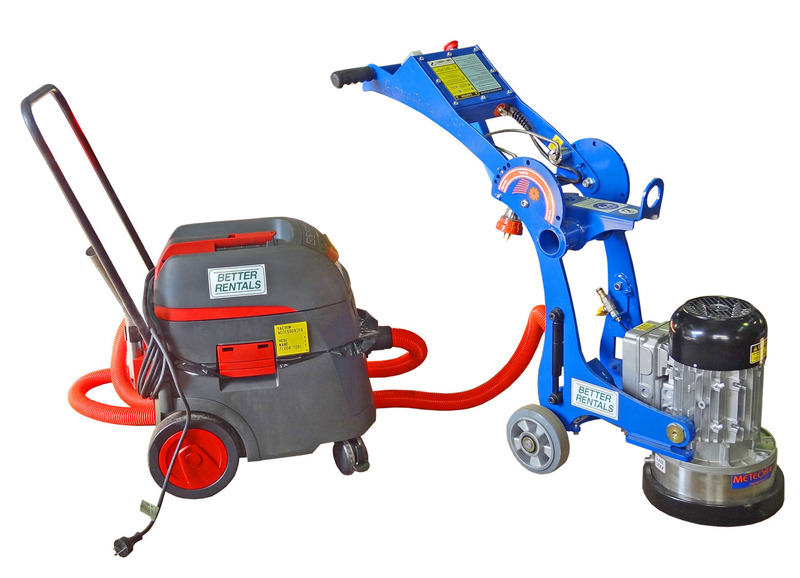 Our concrete grinder hire smooths rough and uneven concrete, creates a polished concrete look and preparation of terrazzo floors. 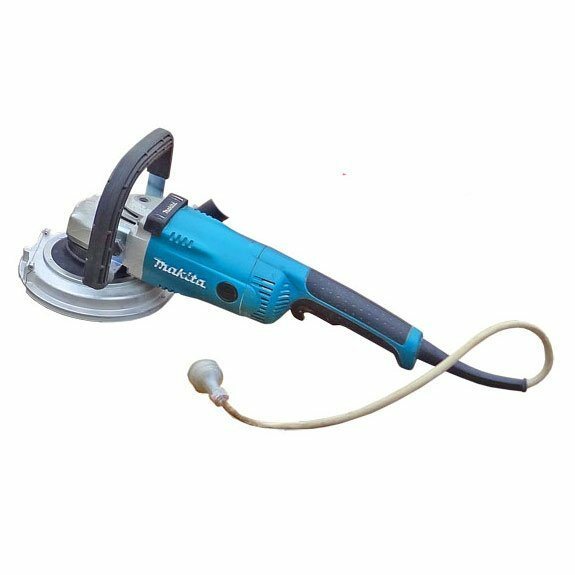 We hire a range of diamond heads for aggressive grinding, polishing of old concrete and removing paint. 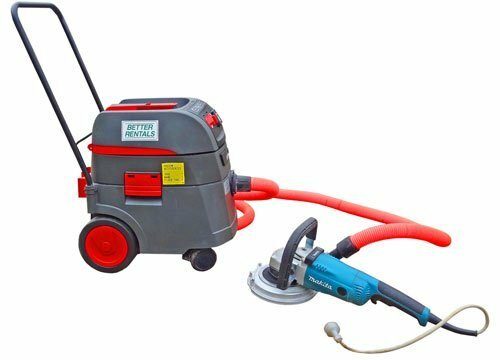 Concrete Grinder – Hand Held with Vacuum. A single head hand held grinder with a 180mm diamond head. 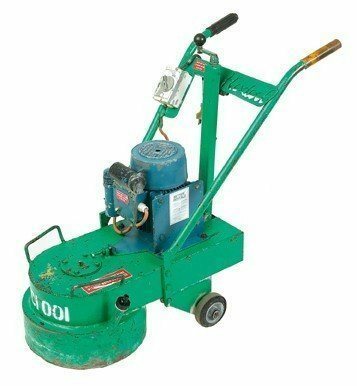 Hire a floor grinder – also called a crete mower – to grind off lips in uneven concrete footpaths, cut back concrete for exposed aggregate effect or clean up rough troweling. Not suitable for indoor use as vacuum can’t be fitted – but there is a fitting for water.